The 2018 Datsun GO facelift will come with a host of cosmetic updates along with a bunch of new and updated features. The car is expected to be launched during this festive season. A prototype model of the 2018 Datsun GO facelift was recently spotted testing in India. 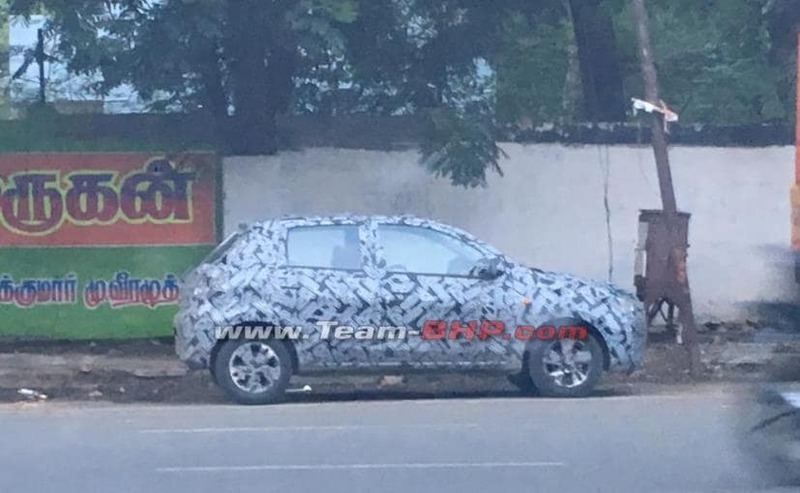 The heavily camouflaged test mule was caught on the camera on the outskirts of Chennai, and the car is expected to be launched in India this festive season. While the carmaker hasn't announced the launch date or even a timeline for the launch, the GO facelift is expected to go on sale in September or October. The 2018 Datsun GO facelift will come with a host of cosmetic updates along with a bunch of new and updated features. Upon launch, the car will continue to rival the likes of Maruti Suzuki Celerio and Tata Tiago. Despite the heavy camouflage, we can see that the car looks almost production-ready. Datsun has already launched the car in Indonesia, and the India-bound car is expected to borrow most of its visual and styling cues from the former. The car appears to come with a set of new 5-spoke alloy wheels and new ORVMs. While we do not get to see the front section of the hatchback in these images, based on the global-spec model, we expect the car to come with a revised grille, new headlamps, and an updated front bumper with an aggressive design and integrated LED daytime running lamps. The facelifted Datsun GO will also feature an updated cabin with new interior, revised upholstery and possible a touchscreen infotainment system as well, this time around. Other interior updates might include a redesigned dashboard with new AC-vents, refreshed instrument cluster, power windows, power steering, mobile docking system and a USB port.